The red grape variety comes from France. There are well over a hundred Synonyms that testify the old age and the worldwide spread. The most important alphabetically grouped by country are Cinsault ( Algeria. Morocco. Tunisia ); Black Prince, Blue Imperial ( Australia ); Senso ( Bulgaria ); Boudalès, Bourdalès, Bourdelas, Cinqsaut, Cinq-saou, Cinsault, Cinsaut Couche, Grappu de la Dordogne, Marroquin, Madiran, Madiran du Portugal, Marrouquin, Milhau, Milhaud du Pradel, Mustard Noir, Oeillade Noire, Picardan Noir, Piquepoul d ' Uzès, Plant d'Arles, Plant de Broqui, Pousse de Chèvre, Prunelat, Prunellas, Salerne, Sinsâou, Tsintsào ( France ); Grecaù, Grecu Masculinu, Ottavianello, Ottaviano, Ottavianuccia, Ottavinello, Sinsón, Sinseur, Uva Spina ( Italy ); Black Malvoisie ( California ); Samsó, Sinsó ( Spain ); Hermitage ( South Africa ); Bourdales Kék, Malaga, Malaga Kék ( Hungary ). The more exact origin is probably according to genetic facts south of France. It was first mentioned in 1600 under the name Marrouquin by the French agronomist OIivier de Serres (1539-1619) in his work "Botanicum Monspeliense". 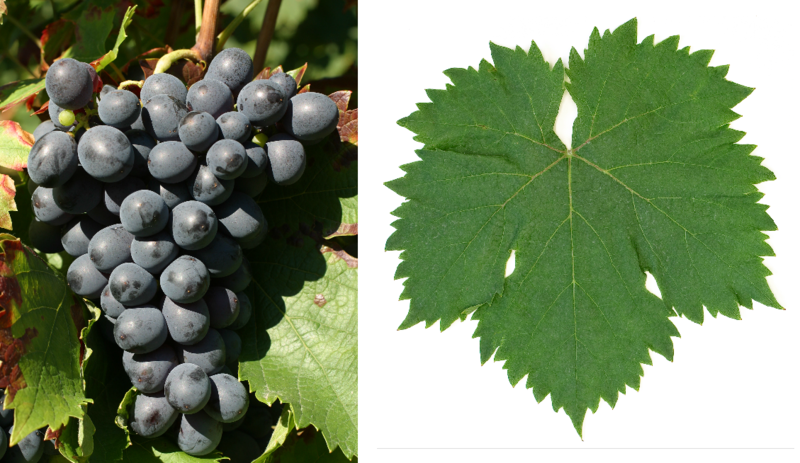 The medium-ripening, high-yielding vine is susceptible to woody diseases Esca and eutypa dieback, but resistant to dryness and drought, It provides fruity, soft and aromatic red wines with a surprising storage potential in youth, which are also ideally suited for the production of fresh rosé wines. She is also called table grape used. This page was last modified at 13 January 2019 at 14:12.